The Ferrari LaFerrari is one of the most extreme, powerful and downright exceptional production cars ever created by any manufacturer, serving as the ultimate embodiment of speed and innovation in this great era of hypercars. 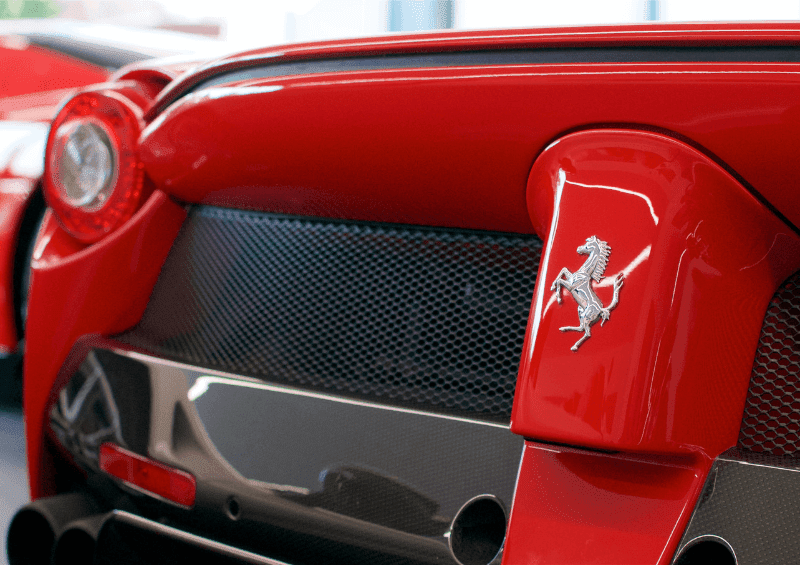 As a successor to the legendary Ferrari Enzo, the LaFerrari is among the likes of the McLaren P1 and Porsche 918 Spyder in an elite class of hypercars that have reached heights beyond what most manufacturers could ever dream of achieving. 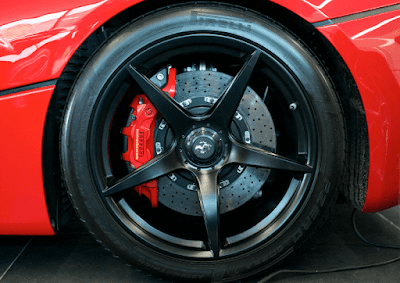 This force of nature is not only armed with a hair-raising, naturally aspirated V12 engine, but also applies F1-inspired hybrid technology to further enhance its performance, and was the first flagship Ferrari to do so. Technology and performance are where it thrives, but it also looks magnificent and drives like the best Ferrari ever made – and it might just be exactly that. 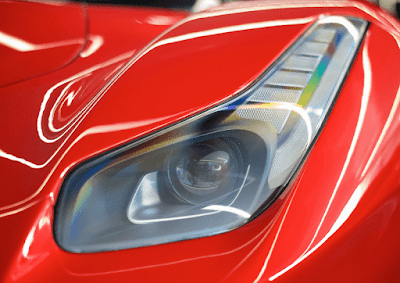 Ferrari thinks so highly of it that its bold name, “LaFerrari”, literally means “The Ferrari” – perhaps pointing out that this is the ultimate personification of the company at its best. This could well be one of the most iconic hypercars of our generation, and we’re here to bring you exclusive LaFerrari images and access from our time at Tom Hartley Cars. How Many LaFerraris Were Made? 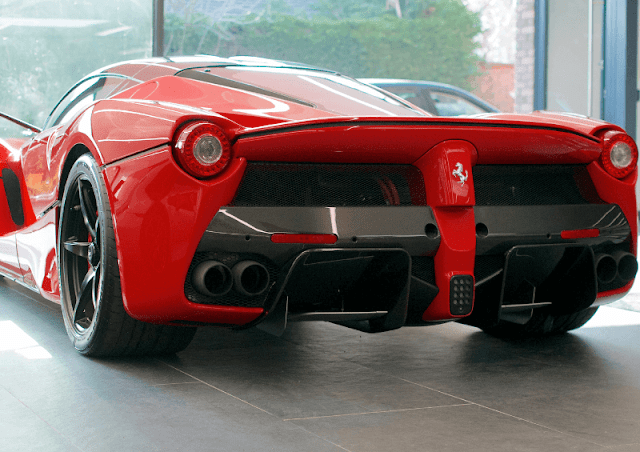 It’s not quite as exclusive as the Koenigsegg we saw recently, but just 499 LaFerrari examples were created and they were only made available to serious Ferrari collectors – those with at least five Ferraris to their name, apparently. You also had to be personally approved by then-chairman Luca di Montezemolo before being able to purchase the LaFerrari. How Much Does a LaFerrari Cost? When it was initially launched, the LaFerrari’s price was £1,150,000 (around $1.5m), but it’s long since sold out and, if you’re lucky enough to afford one and come across one for sale in the UK, it’s likely to cost you upwards of £2.4million in 2019. 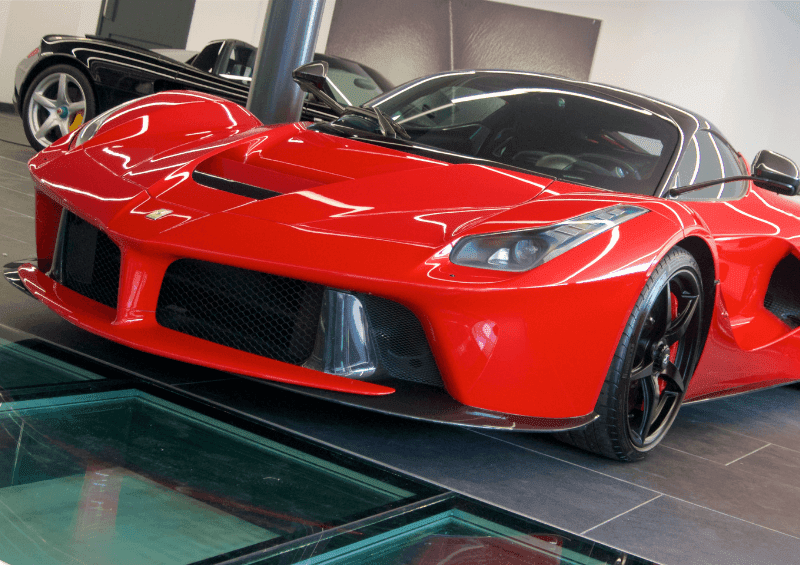 The LaFerrari’s cost is only going to continue to rise, as its appreciation rate will inevitably increase each year. Packed with a monstrous 6.3-litre V12 engine optimised for high-rev horsepower, the LaFerrari would’ve been more powerful than most, even before adding its hybrid system. The hybrid tech isn’t just used to make the LaFerrari more environmentally friendly, but to make this already-rapid car even faster. 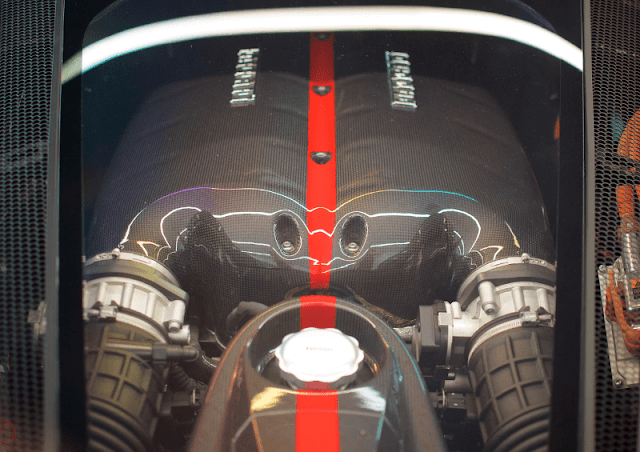 The V12 perfectly coordinates with the F1-inspired Hy-Kers hybrid system (which consists of a battery pack and electric motor) to produce a mouth-watering combined output of 950bhp and 663lb-ft of torque. It works in silence as an inconspicuous partner to the engine, effortlessly supplementing the V12’s performance by adding power, refining response and enhancing delivery. The LaFerrari’s top speed is 218mph (350km/h), and it goes from 0-62mph (0-100km/h) in 2.9 seconds, hitting 124mph (200km/h) just four seconds later. It set a Fiorano track time of 1m20s, which might not mean too much to you, until you find out it’s a whole 5s faster than the Enzo and 3s quicker than the F12berlinetta, making the LaFerrari the fastest road car in the company’s history. No Ferrari ever created has raced around the Fiorano as quick as the LaFerrari. Its presence is heard before it is seen, with the roaring V12 sounding like the true epitome of power. It sends shivers down your spine as you push the ‘Engine Start’ button and bring the LaFerrari to life. We felt as if it had a similar sound to the much-loved Ferrari Enzo, despite being over a decade newer than the modern classic. Ferrari provided a whole new definition of ‘fast’ with the LaFerrari, offering the ultimate performance backed by the most soulful soundtrack of them all, the V12. With so much power, you’d expect to be pretty on-edge driving it, but you’re not. There’s no doubting that LaFerrari’s appearance, sound, stats, price-tag and pretty much everything else about it is intimidating, but its driveability makes you feel at-ease (ish!) behind the wheel. As you’d expect, the handling and throttle response is razor-sharp, as is the feedback, and it’s probably the most natural-feeling luxury hybrid out there. 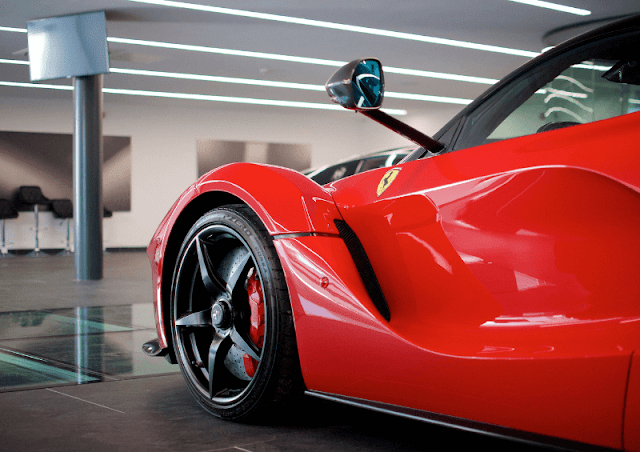 The LaFerrari looks every bit the hypercar – it’s mind-blowing. It looks so extreme and spaceship-like that the very sight of it is mouth-watering. On the outside, it’s striking and bold, with a sleek profile that stays true to the classic Ferrari sports cars of the past. Walking around the car, we were able to follow the curves, vents and tiny details that have been carefully sculpted to create a beautifully smooth body. Its prominent front wing is very F1-like, and aerodynamics obviously played a large part in how it was designed, with active aero features including front and rear diffusers, an underbody guide vane and a rear spoiler. The aerodynamic features react automatically when the driving conditions suit, helping generate better downforce without creating unwanted drag. If you’re more into your soft-tops and convertibles, there’s also a LaFerrari Aperta, a spider version which was introduced three years after the coupe we got to see. You don’t need us to tell you that it, too, is absolutely stunning. 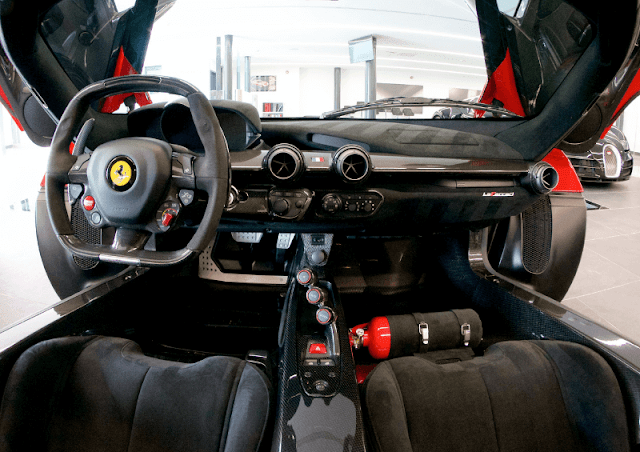 So, getting inside the LaFerrari – it’s actually physically not as awkward as you’d think. It’s hardly a tight squeeze and you’re definitely not on your hands and knees trying to crawl out of it either, unlike some of the less practical supercars we’ve seen. Once you’re in, carbon-fibre pretty much covers the cabin along with some bits of upmarket Alcantara, which gives the LaFerrari a very performance-orientated, but high-quality finish. 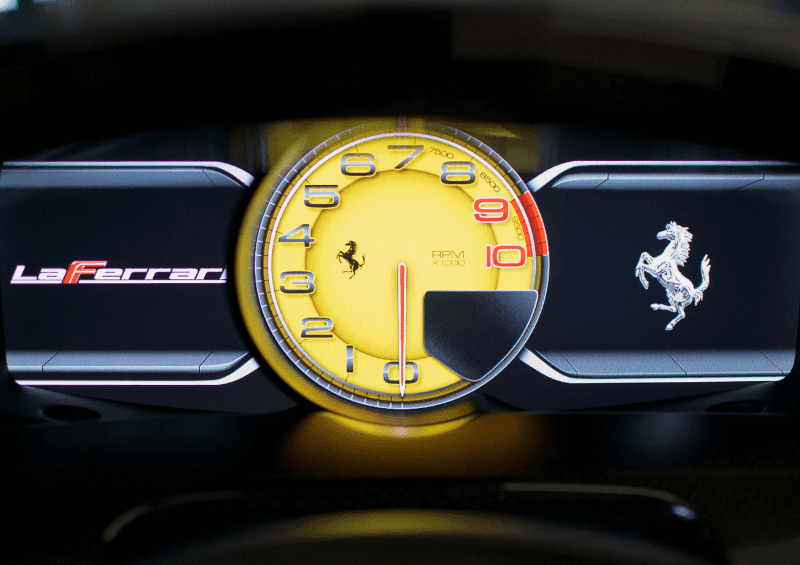 Its fully digital dashboard is distinctive and only adds to the spaceship-like feel on the inside, and the steering wheel is where most buttons and switches are – including the ‘Engine Start’ button and the Manettino dial, which gives you Sport, Race and Wet modes. 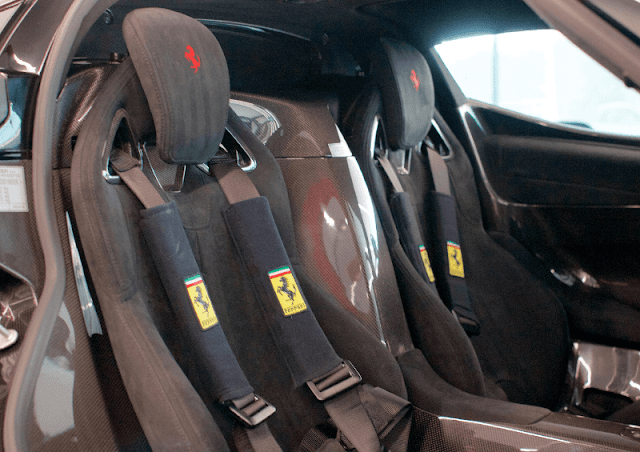 Something of note when we were inside the LaFerrari was the seating position; you sit very low, but it’s not necessarily a problem because the steering wheel and pedals are adjustable and can be moved towards or away from you – race-car style. There’s a nice degree of comfort and each customer has tailor-made seats fitted prior to delivery. Being so wide, the view out the front is good but the rear view could be better, as with most hypercars. The harness is also a bit of a pain to get on quickly, but with 950bhp and hitting 218mph, the extra safety isn’t exactly a bad idea. So Fast, So Impeccable... Where Next? 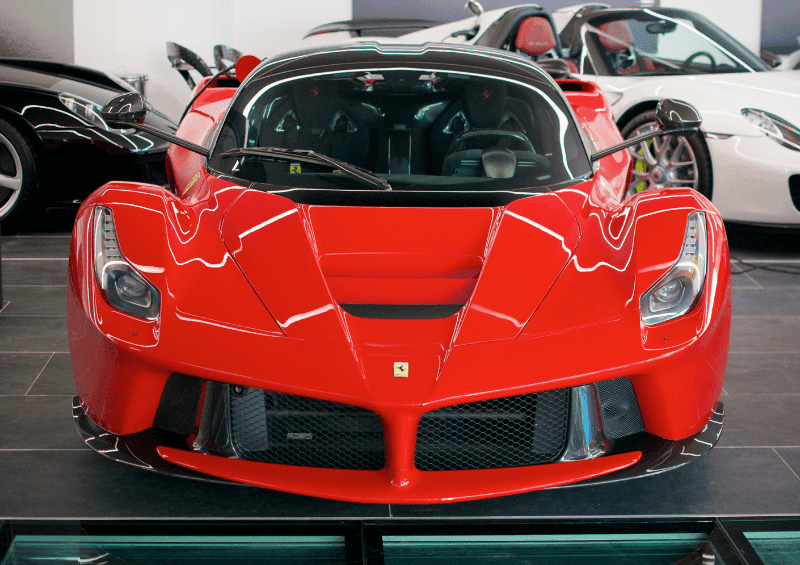 So, a few years on from the outstanding LaFerrari’s debut, what can possibly compete with it? Where could we possibly go from here? There’s a few in the mix, from the Bugatti Chiron and McLaren Senna, to the Koenigsegg Agera RS and upcoming Mercedes-AMG One. But, as far as an authentic all-rounder with an engaging drive, immaculate design and thunderous power goes, has any other hypercar quite hit the heights of the LaFerrari yet? We don’t think so. 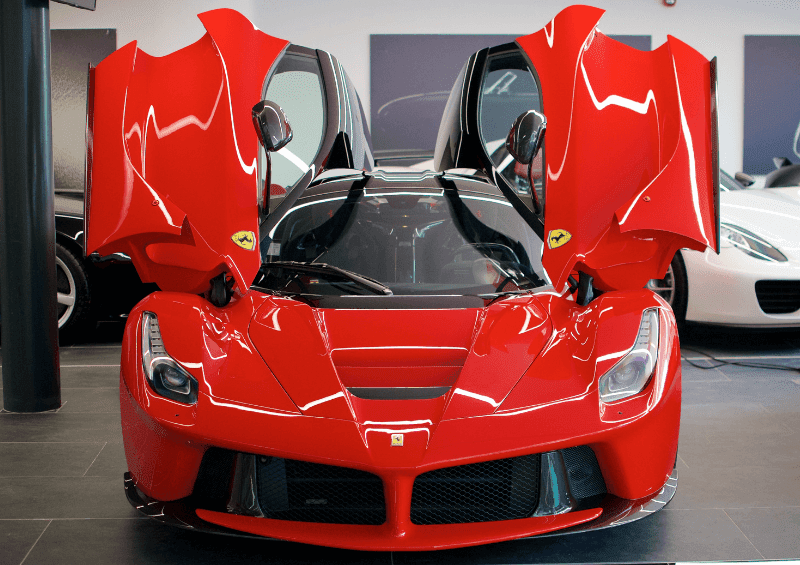 The LaFerrari, as its name suggests, is the utmost expression of what Ferrari strives for – excellence. You could call it the King of Kings, as it proudly represents the pinnacle of Ferrari’s work to date, incorporating all that’s great about the Prancing Horse. To stay up-to-date with all the latest news in the supercar world and for exclusive access to our galleries and reviews, be sure to check out our Facebook/Instagram pages. Check out our review of the latest member of the Ferrari family, the F8 Tributo, or if you want an exclusive look at the Koenigsegg CCXR Edition we visited, which is the ONLY one of its kind in the world, check out our review and gallery! Has to be one of the best cars ever created! !